You’ve asked for it – so you have got it. Whilton Rocks! 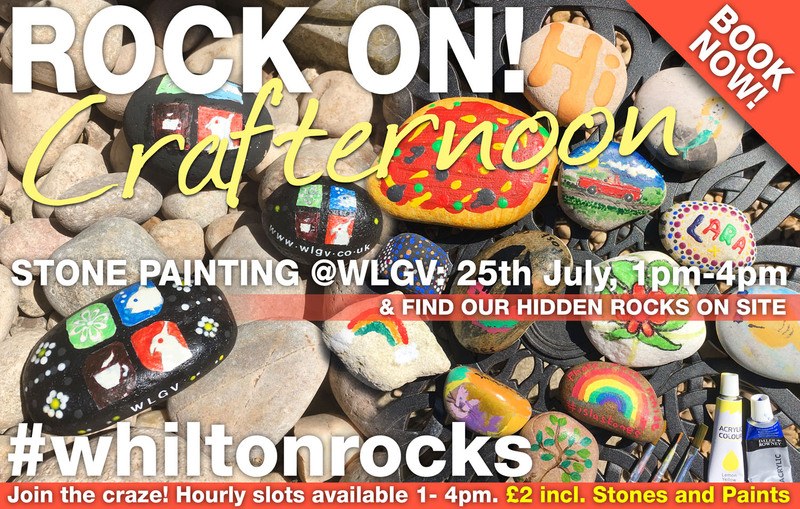 Join in the craze and the fun with a stone painting Crafternoon at Whilton Locks Garden Village. Choose your pebble and paint your design – decide then whether to take it home, or to hide along with our special ‘winning’ stones hidden on site. You can search to try and find a special stone to win great prizes. It’s just £2 per person and we’ll provide the stones and the paints – you just bring your ideas and creativity! It’s available 1 till 4pm on Wednesday 25th July, with 60 minute time-slots available, on the hour.